How do we encourage students to genuinely engage with challenging or difficult texts? Today on the Heinemann Podcast, Marilyn Pryle, author of “Reading with Presence” suggests a method of writing and sharing reading responses, which differ from the usual short essay answer. 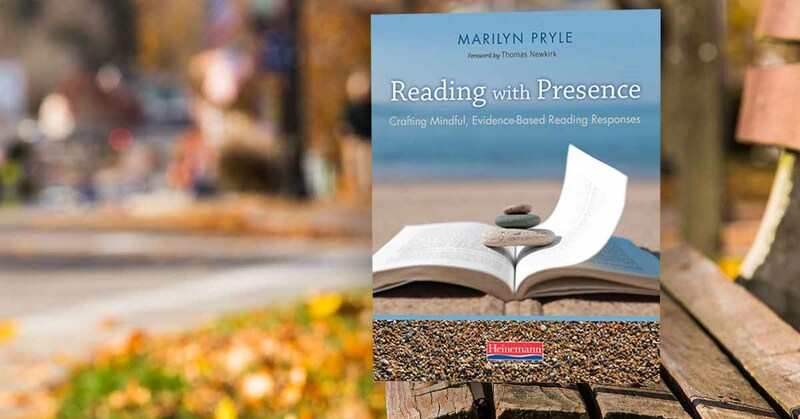 Marilyn says Reading Responses offer students a method of close reading that provides choice while still maintaining a structure that keeps the assigned reading as the main focus. Students are able to write, share, and discuss their unique thoughts and gradually build a deep understanding of a text. Marilyn: So I found in my years of teaching English that a lot of times students would read texts and they would come back into class, and we would try and have a discussion, and I would ask them questions like what did you think about the text, or what did you notice? And a lot of times, they either said nothing, or they were too scared to raise their hands, or they just said, "I don't know." And then in further questioning them, probing, probing, I realized they did know, they just didn't know how to verbalize it in an effective way. I started giving them categories, like "What do you think about ..." in this category, like characterization or setting. I started with the easy ones. "Could you find the climax?" Or "Could you detect the mood here?" And when I started to introduce them to that vocabulary of how to talk about a text, they had lots of things to say. So these categories kind of grew into a whole system where students can respond in any way they want, in any way they choose, with any of the categories, so there's this element of choice. And they have to have an original thought, and they have to cite something in the text. So little by little, that sort of evolved, and what happens now is they come in with these wonderful, diverse reading responses, and when we discuss them all together, we kind of talk about all the important elements in the text. Edie: So in the book, you talk about how one of the pillars of these reading responses is that there's no right or wrong answer, and this really creates a classroom environment that encourages students to trust and develop their own voice. I'd love to hear about the changes you've seen in your classroom and in your students with this method in place. Marilyn: Definitely. In the beginning of the year, they don't really believe that that's what I mean, so they are constantly ... I'd say we spend a few weeks in the beginning where they're striving for the right answer, and asking me "Is this right?" And really what I sort of grade them on is simply the criteria of: did they write the minimum number of sentences; did they have an original thought; did they put a category on it; and do they have a quote? And so really within that, they can say whatever else they want, as long as they back it up with a quote. So their original thought can really be anything as long as they back it up with the text. Rosenblatt calls this responsible reading, right? So as long as they have that, they'll get the credit for doing it, and it'll be part of our discussion, but in the beginning, a lot of times they don't really believe that. So it takes a lot of me reinforcing them, and then little by little, I see them take risks, and it's just beautiful to watch them kind of blossom into these free thinkers. A lot of times by mid year, they'll say, "I know this is really out there, but ..." and they'll say their idea, and I just applaud it every time. And the students themselves, when they discuss in groups, will start challenging each other if they think an idea needs to be explored more, or congratulating each other. They really do a lot of that themselves, so it's not me telling them "You're right," "You're wrong." I try to get rid of that right at the beginning. Edie: So do you find that students who maybe weren't as apt to speak up in a group conversation in the classroom, as they practice with these reading responses and start cultivating their voice and the confidence, do you find that they're sharing in group conversations? Marilyn: Yes. Yes. When they have something to fall back on, meaning this reading response that they've written, it's not like they're putting themselves out there in the moment, having to perform. They've prepared something and it's related to the text. So they're confident in that, and then when they're in their small groups, and they get used to each other, and this culture of trust is developed, they definitely speak up more. It's wonderful to watch. The quiet ones learn to speak up more. The ones that raise their hand all the time anyway learn to kind of take a back seat and listen, and they realize that other people are going to come in with ideas that they had not thought of. Edie: Oh, that's interesting. It's sort of the flip side of it that I hadn't thought of. Marilyn: Yes. It's really wonderful, and they find their voice. And then by the end of the year when we get to some of the advanced categories, like archetype alert, or feminist criticism, or gender and queer theory, or critical race theory, they really have power behind their words, and they really kind of venture out and try to make some interesting points about those topics. Marilyn: And it's all about if you give them the keys ... I mean, a literal key to unlock a door. The structure of the reading response is just this way into the text that intellectually they can do, but they don't have the key to get in there, so I feel like this system is a way to provide a structure so that they can enter into a text through some kind of door or window. Edie: Yeah. I thought a lot about that as I was reading these. I was blown away by the student examples, the reading responses, and I mean they're engaging with these dense, classic texts. The Iliad, the Epic of Gilgamesh. I was so impressed by their entry into that, and how they were making real concrete connections in their own lives. You feel like this method really pulls that out of students. Marilyn: Yes, and I think, too, all they have to do is get one little foothold in the text with the categories, right? You can pick one, so they don't have to tell the entire theme of the text, and enlighten me on the meaning of life. They just have to point out one small thing, and that's what this system enables them to do. Edie: Yeah. With the categories, something that struck me was how the reading responses method has this real balance between structure and choice. Marilyn: Yes. 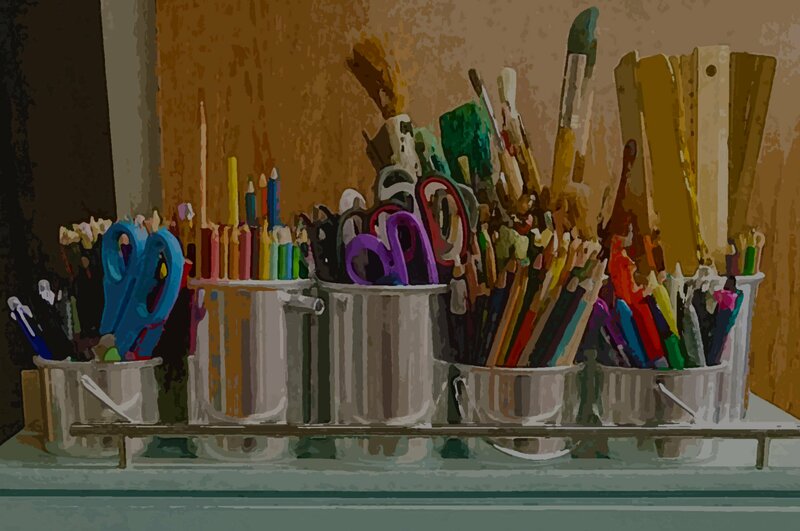 My whole career, I've been a big believer in structure even though I practice in a lot of ways reading and writing workshop where they have complete choice. But even with that, in my classroom, I like to give them some sort of guidelines, because after all, they need this. They're students. They're looking for guidance. At the same time, there's an abundance of research that talks about how choice is a great motivator, and it engages the student, and through choice, they're learning for real instead of just doing what the teacher wants them to do, et cetera. So this method, I feel like, balances that, so by the end of the year, they've got about 35 categories to choose from. I don't throw all 35 at them in the very beginning of the year. We might start off with about 15, and then we keep adding more, so by the end of the year, they know that they can respond to a text in any way that they are able or most interested in, but they still have a choice in that, and then they still have to fulfill the requirements of the quote, and the category, and things like that. But they become so adept at that quickly that they're confident in that, so they know if they're writing their reading response, they're going to get full credit because they know how to cite, they know how to categorize their thinking through the categories, and then they really have free reign as to what they want to think about that text, and what they want to say. Edie: Yeah. That's so great to hear you talk about it. I love a couple of the stories in the book where students have actually then come up with their own categories, and you've then folded them into the categories that you offer to everyone. Marilyn: Yes. It's fun. And then that's them taking ownership of the system, which made me so happy, and it happens all the time. They'll say, "Well, I couldn't find the exact category, so I just ..." Or "This popped into my mind, I realized it's what the teacher across the hall would say about this." I just love that. When they invent categories, it shows that, number one, they're thinking metacognitively, which is amazing. They're just doing it on their own. And, number two, they're really engaged in the process. Edie: So each student has this body of reading responses, and it really becomes a springboard for other assignments, and conversations in your classroom. I'd love to hear about that as well. Marilyn: Sure. Well, we do a ton of it. Very quickly, the reading responses start to add up. Some students keep a special notebook for them. Some keep this ongoing kind of Google doc. And I'll say to them, "Look at all you've written so far. Don't ever feel like you don't have a thought about a text. Look-it, you've written pages and pages," and at the end of the year, I tell them, "You have a whole notebook here of literary criticism that came out of your head. Don't ever doubt yourself in front of a text." So that's the first thing. But also, we use it for a lot of other, just as you said, spring board activity. So I might have them do ... If we don't have time in class one week, I'll have them do an online conversation using their reading responses. Posting one, and replying online. That's one way we can do it. Of course, when it's time to write a longer paper about any text, I tell them, "Go to your reading responses first. That's where your deepest interests are, if you've written about that," and a lot of them will. A lot of them will do larger papers based on reading responses. The other thing that I love after semester one is we do what I call a reading response analysis paper, where I have them look at all their reading response, page through all of them from that whole first semester, and this helps them review for the mid-term, which we do have. But it also helps them look at their thinking as data. So I ask them questions like, "What kind of categories do you find yourself gravitating to the most, and what does this say about you as a reader, and as a thinker? How could you challenge yourself? What categories are you afraid of, and what does that say about you, and how could you challenge yourself there?" I'm just so happy and grateful to get this system into a book and out there, because I've seen year after year ... I've spent years kind of tweaking the process, and adding categories, and things like that, and I know that it changes students with their confidence level with text, and the way they think about text. The best compliment ever, and I get this a lot, is a student will come back and say, "You know, I'm out of your class, but I'm still writing reading responses in my head," and that's just it. It's a way of thinking. And my main thing is I just never want them to feel intimidated in front of any text. I don't care how difficult it is. Of course, they're going to encounter very difficult texts, but the idea that they've learned enough that they can get a foothold somewhere in any text. Edie: I'd love to hear about the structure of your book, Marilyn. Marilyn: Sure. The first half of it is kind of the philosophy and research behind the method, and I talk about the directions a lot, just what's behind each of the criteria. The minimum number of sentences, using a quote, having an original thought, and using a category, that metacognitive piece. So the first half kind of explains that, explains some research behind it, and just also talks about how kids might approach that system as well. Then the second half is each of the categories, so as I said before, I have about 35 categories running in my classroom, but that's very fluid. But there's 35 categories in the book, and I talk about each one, and I give questions that I give to the students. So they don't just have the category title. I give them a couple of leading questions, prompts to help them think. And for each category, we have two student examples, and I tried to include, obviously, a lot for my tenth grade class, but there's some upper high school examples in there, and a lot of middle school examples in there as well. I had teachers helping me, using the system exactly as I do in their class, and the results were really great. So with each example, we also put little notes on the side about what I would ask the student if I'm discussing with them, the reading response, what I would ask to kind of prompt them into further thinking, and other notes on the side about what I'm observing in the reading response. As a teacher, what do I see this student doing? So in that way, the goal is that the book would be really helpful and practical to teachers as well. 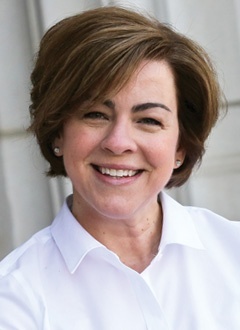 Marilyn Pryle is an English teacher at Abington Heights High School in Clarks Summit, PA and has taught middle and high school English for over twenty years. She is the author of several books about teaching reading and writing, including 50 Common Core Reading Response Activities and Writing Workshop in Middle School. Learn more about Marilyn at marilynpryle.com.